Rhubarb Crumble – Gluten free. Apologies, its ages since I posted, and now when I do its a cake that isn’t a cake but a crumble instead! Let’s call it creative! Okay so I started out making cake but got seriously distracted and found myself staring at a bowl where with absent mind I’d mixed the sugar, (destined for the butter to do the whole cream thing), up with the flour instead. Hmmmm. One of those ‘OH’ moments. Now it may have come together but I didn’t want a total failure either as I was in need of something sweet. So cake became crumble instead and the obvious solution, as I don’t know how to extract sugar from the flour and I’d not like it all overly sweet either. 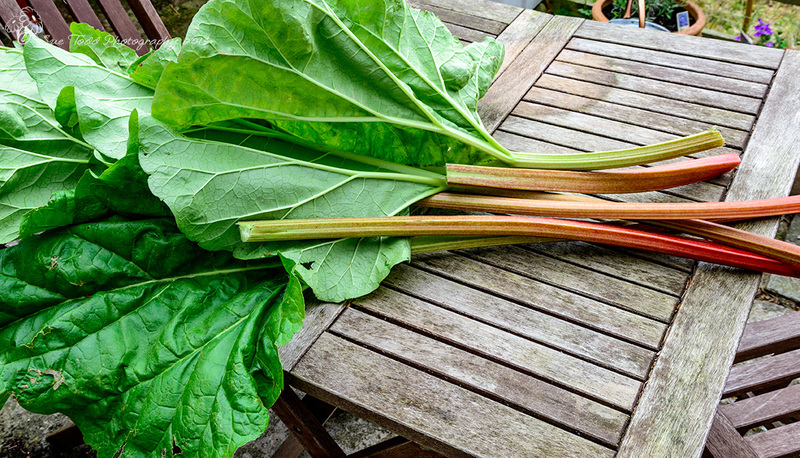 Rhubarb © Sue Todd Photography 2015. I’d set out to make a gluten free cake, so it now needed to become a gluten free crumble. I used a mixture of flours for this, you could do half almond and half coconut (and then it would be grain free too) but I didn’t want too much coconut flavour in there so I opted for some rice flour as that was what I had to hand. This is pretty quick and easy to do and rather tasty. If you are using a conventional oven, pop it on to warm up first, you’ll need it to be at about 180C/350F or Gas Mark 4. Put the chopped rhubarb into a bowl with 3oz of the sugar and leave for an hour or so. If you use the dish you are going to cook the crumble in it will save dishes! I didn’t, but then I didn’t set out to make crumble either. 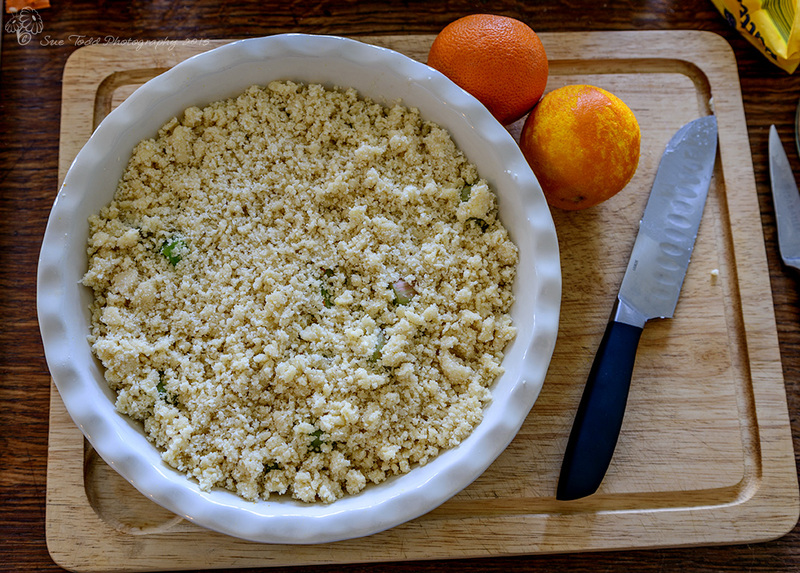 Tip the flours, sugar and butter into a bowl and rub together until it butter is mixed in well and the whole thing looks well ‘crumbly’ really, just like a crumble should. 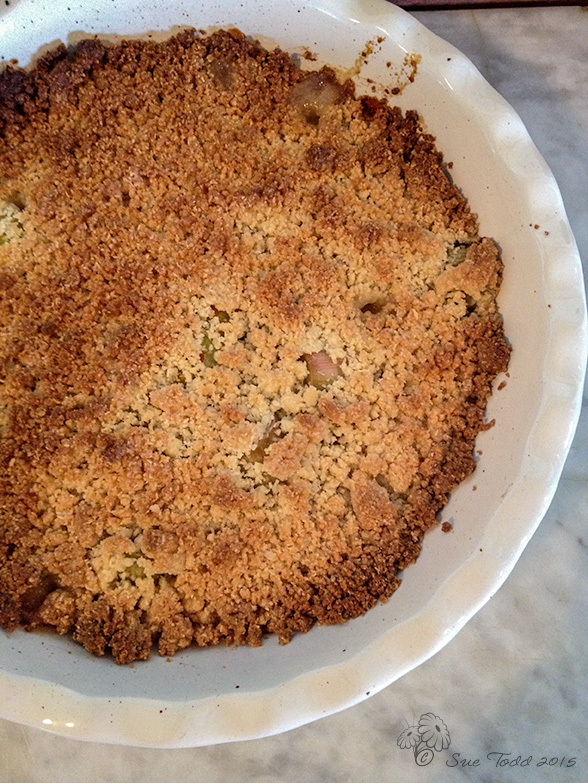 Tip the crumble mix over the rhubarb and pop in the oven to cook. I use the baking oven of the AGA. It should take about 20 minutes. Serve with cream, yoghurt, ice-cream or custard. I like the cold leftovers with yoghurt for breakfast next day, its delicious and decadent all at the same time. I can tell you if you make this on a Sunday, its a real treat of way to start the week on a Monday morning for breakfast! This entry was posted in Uncategorized on June 18, 2015 by Sue Todd.